Looking for a speaker cabinet to brighten up your bottom-heavy bass rig? Or, maybe youve recently downsized your transportation to save a few bucks on fuel, and no longer have room to haul your beloved SVT-810E to the gig. The SVT-410HE delivers superb full-range performance, all the way up to 18kHzand itll fit in your new ride. 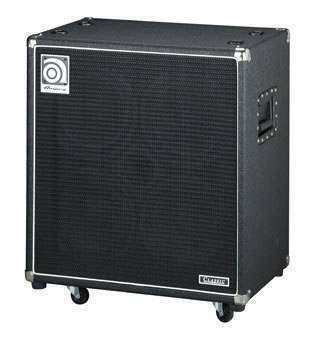 The Ampeg SVT-410HE is also the ideal enclosure for the player who wants to add extended upper register clarity to a system that already features ample low frequency performance. Just ask George Clintonhe uses an SVT-410E to round out the top-end of his killer, all-SVT stage setup. Great little cabinet. Punchy, quick, crisp and clear. Very reliable and versatile. Even better with a 15! But stands well on it's own and acn be paired with almost any kind of amp. I have tried Edn, GK and even Traynor with it and you get very honest and transparent results especially if you "know" your amp sounds and what you should expect. 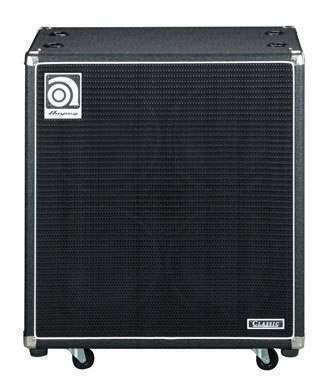 It's Ampeg, of course it's going to sound good. 1/4 or speakon, good attenuator. Only complaint is Tolex is too thin and not rugged enough, casters could be1/2" or 1" bigger. Thats it, sounds great otherwise.